A select blend of deep cleansing ingredients helps to maintain healthy looking hair and scalp from 1st use. Contains Salicylic Acid, a highly effective dandruff prevention ingredient. 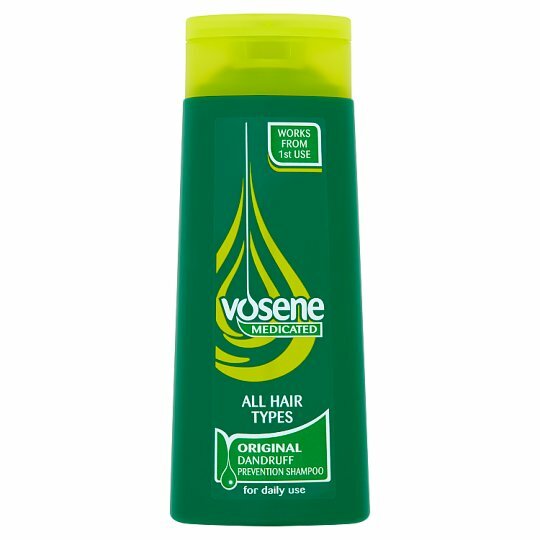 Vosene Original Medicated Shampoo leaves hair clean, soft and manageable. Trust Vosene for daily hair and scalp health & protection. Apply to damp hair and scalp, massage in, and ideally leave on for a minute, then rinse thoroughly. Repeat if necessary. As with all haircare products avoid contact with eyes. If this should happen, rinse immediately.